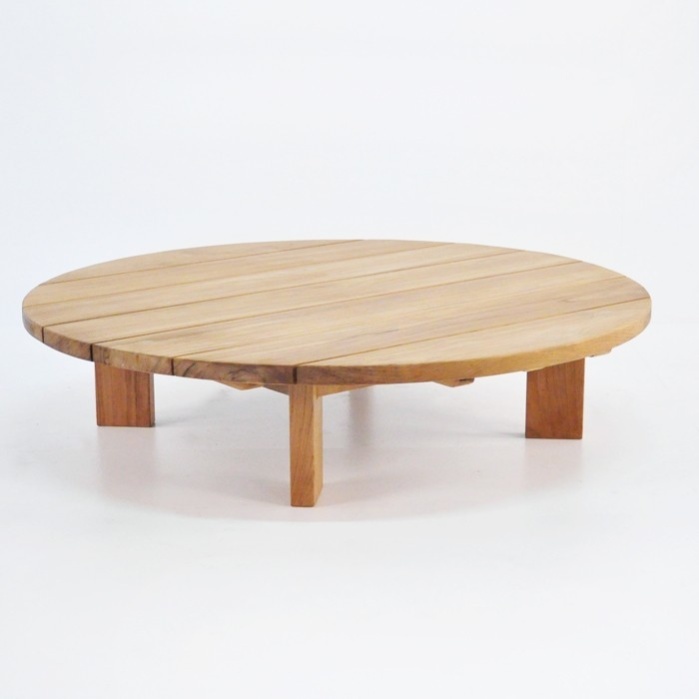 A teak coffee table made for big fresh impact. The Soho Round coffee table combines round with flat, but does so with an aim to be bold. 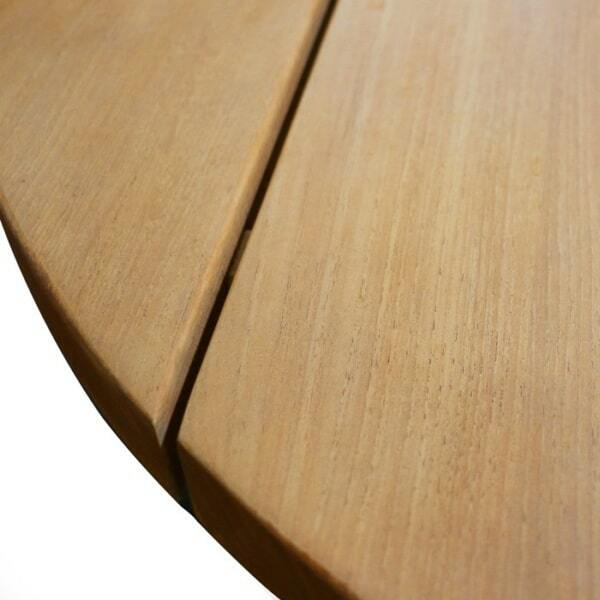 The massive 7-inch wide boards are more than 1 inch thick that make up the table surface. They are spaced just slightly to create a solid and robust feel. 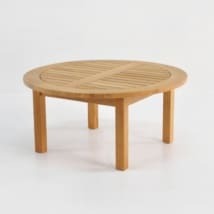 W51" x L51" x H12"
When placed next to the big square and flat lines of the Soho seating pieces, this teak coffee table provides instant cohesion. The thick legs pieces keep the table low to the ground but well within reach of your position while relaxing on the club chair, loveseat or Soho sofa. 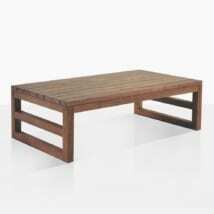 The unique leg placement further enhances the stand out ability of this brawny teak coffee table. The contrast between the legs which fan out slightly and the flat, one-direction table surface makes for an interesting overall look that fits well with more than just the pieces within the Soho collection. 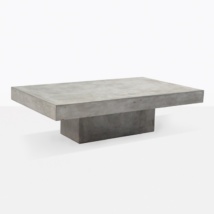 Many of our customers find this piece attractive and comment in our showrooms; it’s got a certain boldness and makes any instant connection with most of those who see it. 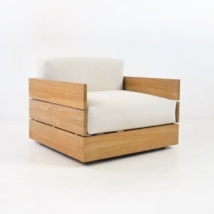 While the Soho collection has a mostly relaxed, soft edged and mild feel to it, this piece offers a perfect contrast. It’s big, meaty and stout. This is a piece that despite its relatively traditional design, makes a really big entrance. 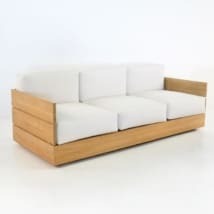 It is pieces like the Soho teak coffee table that serves as part of the Teak Warehouse impetus to deliver your furniture fully assembled and with white glove handling. You buy your favorite pieces because of the feeling they give off and the impact they have on you as you see them. We want you to relive that same feeling everyday, starting with the day your delivery arrives at your home. When your furniture arrives fully assembled and handled with white glove care, you experience that impact again, immediately. 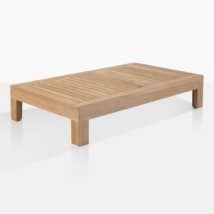 If you are looking for a contrast piece for square or rectangle furniture, perhaps you need not look further than this Soho teak coffee table.